Posted at 11:10. Tags: Apple Safari, CSS. Categories: Mozilla Firefox, web design. Both comments and trackbacks are closed. 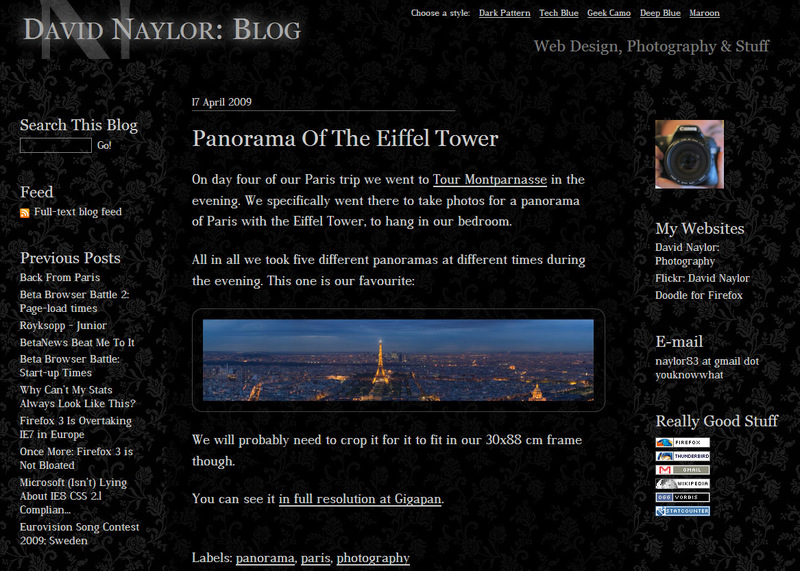 Looks good apart from the heading "Web Design, Photography & Stuff" being so far to the right on my widescreen. It should be in line with the edge of the second column. Good point! I’ll position it relative to the left instead. Well done . I liked your experiment. Many minds many ways. So keep it up.Thanks form Jenifer.